Here we are! 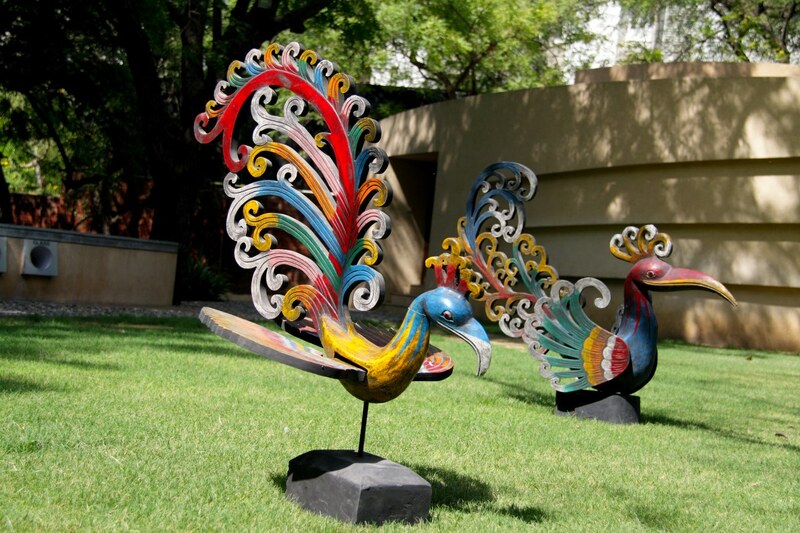 A huge wooden Balinese peacock structure sitting pretty and ready for you to take home. It’s a proud representation of the wooden carvings which are so popular to the Indonesian islands. The fanned wings give this handsome gentleman the illusion of being ready for flight. Dressed in a range of colours, this seemingly carefree beauty is perfect to grace any home.